Solid Edge's new mold-tooling option is a powerful, step-by-step process workflow for the design of multi-core, multi-cavity plastic injection molds. 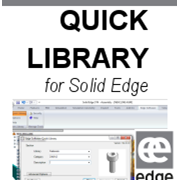 Solid Edge users can select mold bases and associated components from a complete library of various standards (DME, Hasco, Futuba, LKM, Misumi). 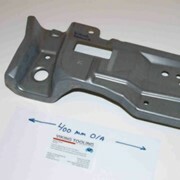 A complete solution for mold design Solid Edge Mold Tooling is the cornerstone of a complete mold design solution that helps transform ideas into deliverable products faster and at lower cost by addressing challenges that are unique to the industry. 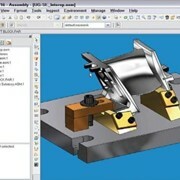 Solid Edge helps both OEMs and dedicated mold shops overcome these challenges by combining industry-leading capabilities for data import, cleanup and shape modeling with a proven set of mold design automation tools, unparalleled documentation capabilities and seamless integration with best-in-class analysis and manufacturing solutions. 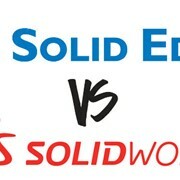 And Solid Edge is the first mold design solution to address the real source of bottlenecks – OEM/ supplier communications. Solid Edge’s industry-leading design management applications help you service your customers better by providing tools for managing design data, automating process workflows such as design reviews and enabling native view and markup of designs. Whether your customers are next door, or half way around the globe, improved communications mean minimised changes and reduced delivery times. "With the addition of Solid Edge Mold Design to our existing Solid Edge software, we have been able to rapidly generate mold base components and document the whole process to our standards," Roger Clark, general manager, Camtech Queensland, said. "We believe that the addition of Mold Design software will increase our productivity which in turn allows us to assist our customers to reduce their speed to market for new products. "This improvement is key for the longer term growth and prosperity of both Camtech and the customer base we supply. 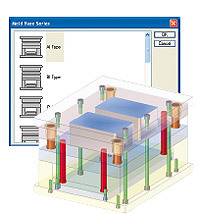 Solid Edge Mold Design is an excellent design wizard for the Plastic Tooling industry." 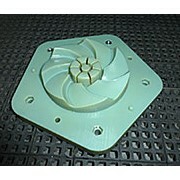 For more information on Solid Edge Mold Tooling Software please call or use the IndustrySearch email for a direct reply. 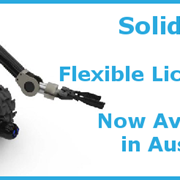 Edge PLM Software is an Australian based company specialising in the in supply, implementation, consulting and training of Product Lifecycle Management (PLM) solutions for manufacturing and engineering companies. The portfolio that Edge has created is a series of best of breed software solutions based on Siemens PLM Velocity Series, a comprehensive family of modular, integrated solutions addressing the PLM needs of both the SME and enterprise markets. 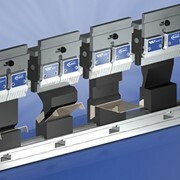 In addition Edge has complimented these with niche world class software applications that work in conjunction with the Velocity Series components or as standalone applications delivering high return efficiencies for engineers. Edge PLM Software has offices around the country and offers full support, training and consulting services to ensure maximum return on customers’ investments in the Edge portfolio. 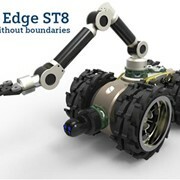 Edge solutions include 2D & 3D CAD including piping, sheet metal and machine design, finite element and motion analysis, numerical control programming for all machines types including, 2 ½ to 5 axis milling, routing, laser and nesting and collaborative product data management software based on the world leading cPDM product TeamCenter. 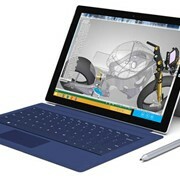 Mention IndustrySearch so EDGE plm software can best assist you! 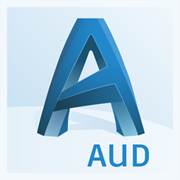 Get a callback from an expert at EDGE plm software to help answer your questions.